The purpose of this Request for Proposal (RFP) is to solicit sealed proposals to establish a contract through competitive negotiation for purchase and implementation of current state-of-the art Intelligent Transportation System (ITS) technology on City of Harrisonburg paratransit buses. This will include several technologies used currently within the transit industry. This technology will assist management in decision making and will improve customer service. The City of Harrisonburg Department of Public Transportation (HDPT) is not liable for any cost incurred by any party prior to signing a contract. Paratransit Intelligent Transportation System (ITS) - RFP 2013TRA01. Proposals must be received by HDPT no later than the time specified. Proposals may be mailed or hand delivered to City of Harrisonburg, Department of Public Transportation, 475 E. Washington Street, Harrisonburg, Virginia 22802. Faxed and emailed bids shall not be accepted. 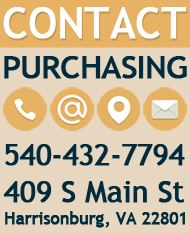 It is the bidder’s responsibility to ensure the bid is received prior to the bid acceptance time. Late bids will not be accepted. 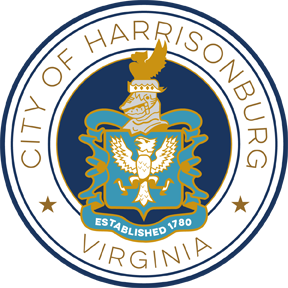 Clarifications and additional information, if any, will be posted as addendums on the City of Harrisonburg Bids and Proposals page. It is the responsibility of the prospective bidders to check the website for updates.